Discover the relationship between shape and meaning that is hidden in the origin of kanji. An origin-based explanation is based on the fact that kanji originated from the ancient meanings of its components. It may come as a surprise to learn that there is still a close relationship between the shape of a kanji and that ancient meaning. This relationship also allows the student to understand the meaning of different kanji in which the same ancient shapes reappear. An image that illustrates meaning makes it easier to grasp what the kanji is about, even before you read the English explanation. It helps you remember both the kanji and its meaning if you can connect a visual and verbal account. 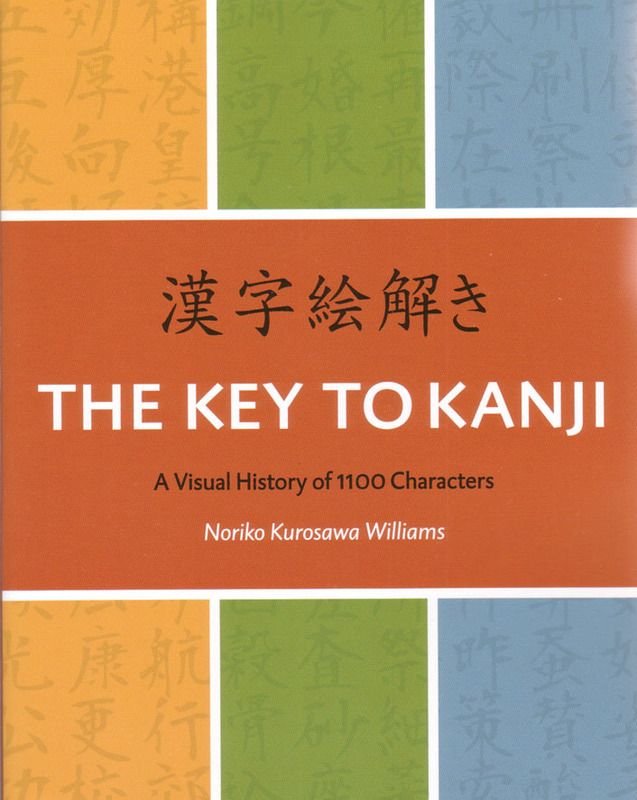 The three introductory chapters discuss background information on kanji history, kanji formation, and the Japanese writing system. Chapter 1: The Historical Development of Kanji Forms – how ancient Chinese writing, precursors of the Japanese kanji, developed. Chapter 2: Kanji Formation Types and Dictionary Section Headers – forms of kanji, including different ways that kanji were “built,” the role of kanji section headers (bushu or radicals), and the traditional kanji dictionary. Chapter 3: Development of Japanese Writing Systems – the effects of the adoption of Chinese characters into the Japanese language, including the creation of phonetic alphabets (Man’yoo-gana, katakana and hiragana) and the merged style of Japanese and Chinese that became the present-day Japanese writing system. It also gives the reader a useful table of the 184 dictionary section headers (bushu) that appear in the 1100 kanji in The Key to Kanji. • 1,100 Kanji – The 1,100 kanji cover all the 1,006 educational kanji, 93 other Joyo Kanji (Commonly Used Kanji) and 々. • In the order of On-reading on the 50-on syllabary chart (i. e., the order of aiueo- kakukeko.) 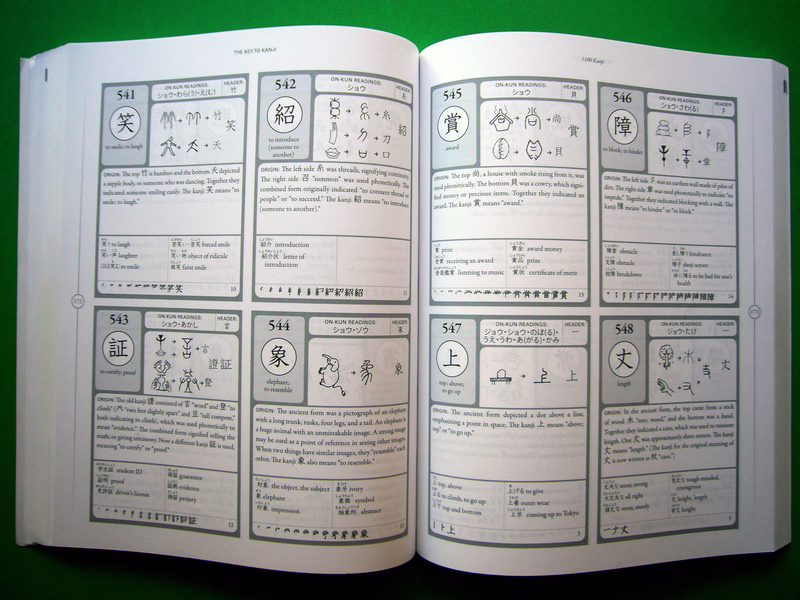 Note: The 1100 kanji are not arranged by bushu even though it provides a 10-page table of 184 bushu. 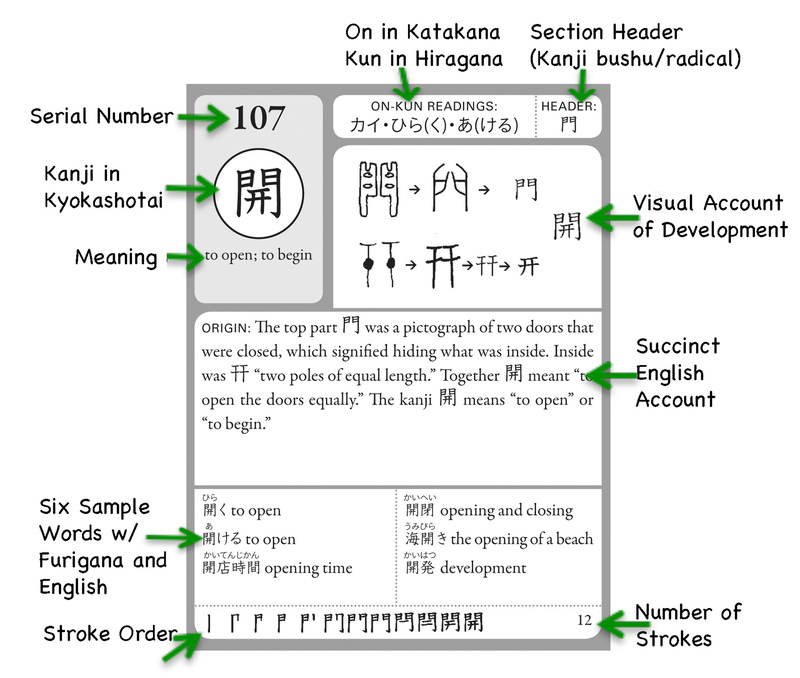 • The Features – Each kanji has various descriptions, as illustrated below. Hi, good evening, do you know where can I buy your book in Japan? Thank you very much for your interest in The Key to Kanji. Unfortunately the publisher’s marketing is quite limited and Japan is left out. Occasionally Amazon.co.jp carries it as Amazon merchandise at regular price. You may be able to order a copy from branches of Kinokuniya, Maruzen-Junkudo Bookstore (Marunouchi branch) or Yaesu Book Center in Tokyo. I know they used to carry copies. The PDF sample of this book looks fantastic (https://www.cheng-tsui.com/sites/default/files/previews/Key%20to%20Kanji%20sample_4.pdf). Really high quality and you can actually search on kanji and words! I’d love to buy this book but I’ve no interest in buying a heavy paperback. When will the digital version be available? Dear Eastsidepigeon. Thank you for your comments. I happen to be in Tokyo now and I have made some inquiry today. (1) At Kinokuniya Bookstore the Key to Kanji is out of stock since October, as you have found out. They do not know when or if new copies will be coming from the U. S. (2) You can place a special order of a copy to be imported from the U. S. if you go to the store in person. It may take as long as a month to arrive however. It is sold at 4,590 yen. (3) Foreign language books are primarily sold at Books Kinokuniya Tokyoブックス紀伊国屋東京 rather than the Shinjuku Main store. The address is Takashimaya Times Square South Building 6th floor, 5-24-2 Sendagaya, Shibuya-ku, Tokyo151-0051. Phone, 03-5361-3316. FAX, 03-5361- 3339. This branch store carries quite a selection of Japanese language study materials.